The Last Guardian, one of the most hotly anticipated PS3 exclusive of 2011, has been delayed indefinitely. Intended as a Christmas 2011 release, it has been pushed back into 2012. Whilst the realists amongst us were half expecting this delay, we couldn’t have predicted a hand-in-hand postponement of the ICO and Shadow of the Colossus HD Collection. The spiritual predecessors of The Last Guardian, the HD collection was due this spring and there is no indication as to how far back it has been pushed. Fumito Ueda, Team ICO creative director, has reasoned that the postponement of The Last Guardian is down to providing “more challenging and better quality of content to users and to fulfil First Party Studio's obligations”, which is fair enough. However, this doesn’t explain the delay of the much sought after HD collection. Shigeru Miyamoto once said that a delayed game is eventually good, but a rushed game is forever bad. The following three games prove this to be true, all being outstanding games that were subject to substantial delays. Due for a holiday 2009 release, Red Dead Redemption slipped back to May 2010. An open-world Western set in the twilight years of the American Old West, it follows the escapades of John Marston - an ex-outlaw struggling to get his life back on track whilst being forced by the government to bring his former gang members to justice. Traversing the sparse yet beautifully realised frontiers of the US and Mexico, you encounter a cast of colourful characters from warm-hearted cattle wranglers to violent bandits. All the while you are free to break away from the narrative to explore the hidden depths of Rockstar’s exemplar sand-box. RDR is atmospheric and visually arresting, featuring a haunting soundtrack and one of the more memorable stories to grace a video game. It is far more than just Grand Theft Auto on a horse. The combat, often a weak link in sand-box action games, is addictive and easy to master, boasting a robust cover system and Dead-Eye targeting which allows you to slow down time to line up accurate shots. The spectacular single player will keep you engaged for hours and, when it finally draws to a close, you are treated to a thought provoking and refreshing ending. But your adventures need not end there, as I for one couldn’t shake the simple joys of wandering its beautiful and vast landscapes long after taking my final meaningful journey with the Marstons. The vast single-player campaign aside, RDR also features impressive competitive and cooperative multiplayer accessed from a free roam/open-world hub. The standard deathmatch and capture the bag modes are present but it is the co-op missions, which were added as free DLC, that warrant the most attention. Set across a number of self-contained missions with their own mini-stories, they add hours of enjoyment to a game that was huge to begin with. 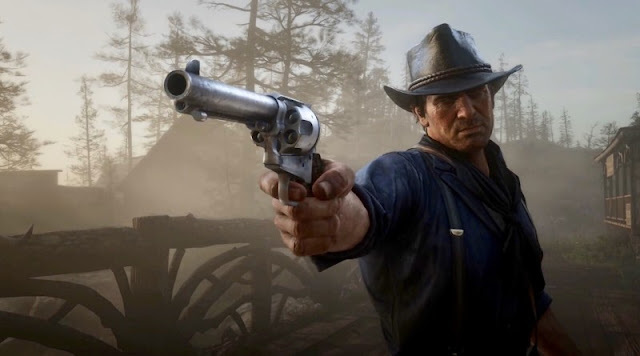 To top it all off, as the final piece of downloadable content Rockstar offered-up a staple of the Western genre; a zombie apocalypse, which terrorizes the old West in a surprisingly meaty single player campaign as well as some co-op survival modes thrown in for good measure. In my mind, Red Dead Redemption seems to grow in stature the longer I’m away from it. It delighted the first time round, but I’m wary that subconsciously I’m elevating it above its deserved station – rose tinted glasses and all that. But each time I dip back into it I feel reassured in my belief that Red Dead Redemption is Rockstar’s finest effort to date, and that I’m not just getting carried away when I count it as one of the two or three best games of this generation. Alan Wake suffered a tortuous development spanning five years, which included a complete rethink – Bright Falls was originally designed as an open-world - and the scrapping of the already well under-way PC version. After such a long and high profile development, Alan Wake was bound to struggle with lofty expectations. Whilst it’s not the game-changer that many were hoping for, it’s still an excellent title; well worth checking out if you like stylish adventures and enjoy a bit of survival horror. Alan is a bestselling thriller writer who has a spot of writers block. In search of inspiration he travels to the small town of Bright Falls along with his wife, and from here things turn weird very quickly. A cinematic detective/survival horror adventure, Alan Wake is presented in an episodic format, aping TV series from which many of its influences are lifted. This defining feature includes cliff-hangers at the end of each episode, recaps at the beginning of the next and a made for TV voice over which succeeds in making you feel like you are partaking in an episode of Twin Peaks or the X-Files. Much of the game is played in the dark, but the adventure never becomes dreary. Battling a town of shadow-like humans and poltergeists, your flash-light soon becomes your best friend without which your other weapons are rendered useless. Flawless pacing and a small cast of interesting characters keep it ticking, with each new revelation hard-earned and satisfying. The setting of Bright Falls is spot-on and all the scares are well placed, keeping you wary throughout of where the next nasty surprise will come from. Grand Theft Auto IV suffered months of delays before finally arriving in April 2008 to near unanimous critical acclaim. 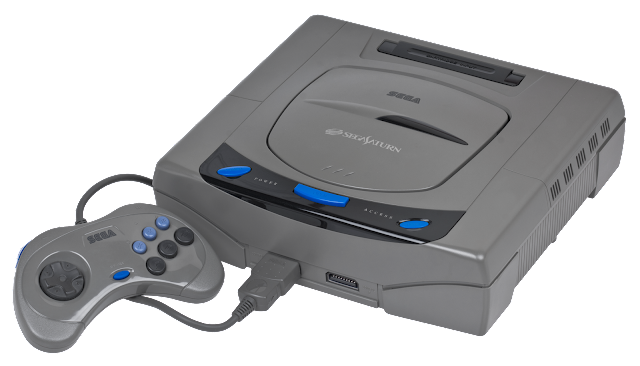 It stands as one of the most visible and well received examples of current generation gaming – enjoyed by millions and easily recognizable to non-gamers thanks to its high profile. As much as I have enjoyed and vicariously lived out countless gangster fantasies through the world of Grand Theft Auto, it has always been lacking in the story department. The narrative was by no means bad, but it took second place to the joys of open-world gameplay. A few hours in and I would succumb to the temptation of non-stop car crashes and pavement massacres, discarding the disjointed narrative entirely. Once I stepped away from the story, I found that I had little interest in returning. Inevitably, the non-stop free-form violence would become stale and I would abandon the game well short of completion. So went GTA, London, GTA II and GTA III, but then along came GTA IV, which became the first to command my undivided attention from start to finish. Distractions were plentiful as I indulged in extra-curricular drive-bys, beat-downs and roadside blow-jobs (Nikko doling out the first two, on the receiving end of the third), but I always returned to the story, no matter how long and filthy my sojourn, as it had me riveted throughout. Niko Bellic’s tale is one of the American Dream gone wrong. An illegal immigrant, he quickly descends into a life of violent crime. Perhaps Rockstar’s greatest achievement is that despite his abhorrent actions, Niko remains likeable and sympathetic throughout. You want to see him succeed in all his ventures, no matter how dastardly they may be, and when tragedy strikes you share his pain. His stomping grounds are the streets of the immense Liberty City, complete with its array of legal and illegal activities. You can wine and dine women, take on extra criminal work, complete stunts, have a lap dance, cruise around the city listening to any number of radio stations and their licensed tracks, or simply stay at home, kick back and watch Ricky Gervais stand-up on the TV. Strangely, the thought of returning to GTA IV has never appealed. The whole experience was so impressive, distinctive and overwhelming the first time around that I think a second play-through could only hope to disappoint. Thus it stands as one of the finest must-have, one-time only experiences on consoles today. The wait for Alan Wake was rough. It ended up being a pretty cool game though. I didnt really follow its development, so when it hit it was a nice suprise. Always happy to have a reason to fire-up my 360! alan wake was disappointment to me. along with fable it was one of the reasons i bought a 360. i made it about halfway and just quit. I had no expectations fo Alan Wake, so was able to enjoy it.